As we come to the end of 2015 I thought it would be fun to share some of my favorite things from the past year. First up: favorite shows. The theme of this year's viewing pleasure has been Cornwall. I've always had a crush on Cornwall ever since I read Rebecca by Daphne du Mauier. It captured my imagination. And it still does. Someday, I hope to visit it for myself. Until then, I will have to content myself with watching shows set there instead. Like Broadchurch. Broadchurch has been the only show to make Josh and me watch three episodes in a row--on a week night no less--but we just had to keep going! Watching Broadchurch is just as satisfying as binge reading your favorite mystery series. Amazing writing, a plot that twists and turns with a shocking ending, dramatic views of West Bay cliff in Dorset, compelling acting, and the cinematography! Oh I love the cinematography in this show. Another thing I liked was that the family who suffers the tragedy of losing their son are not side-lined characters we only see when brought in for questioning. We get to see them grow, develop, and deal with their grief and all it's stages. That is not very common in detective stories. Trigger warning: the show does focus on the death of an eleven-year-old boy. That said, this show is not graphic and focuses mostly on the relationships of the family, detectives, and people in the town as they deal with the tragedy and not any grizzly details. If you like mysteries, this is a must try! Poldark makes me want to hop on my horse and gallop along Cornwall's rugged coast, hair flying in the wind. However, I must admit when I saw the trailers for Poldark, they didn't interest me. Not until a friend said I had to try it did I watch the series. Ross Poldark returns from war to discover his father dead, his estate in ruins, and his sweetheart engaged to his cousin. The series is full of family drama, romance, business dealings gone wrong, financial strain, and class warfare. Poldark is our sometimes brooding hero who struggles to restrain his temper and act within the confines of his class. It has been touted as the "next Downton Abbey" but I actually think the series is much better than Downton. Josh loved it too. It’s the 1920s in Melbourne, Australia. 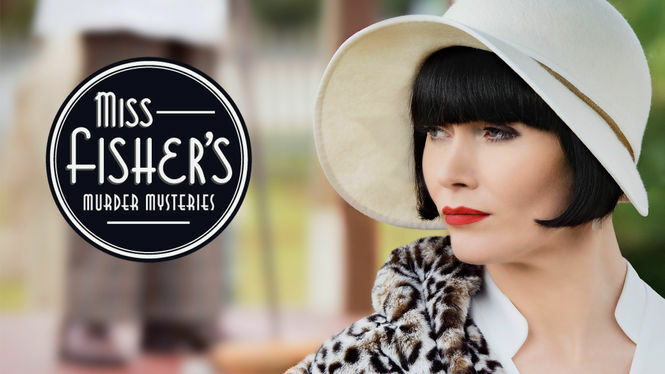 Phryne Fisher is a “lady detective” in a man’s world. Dressed to impress, this pistol-packing fashionista is smart, sophisticated, and ready to solve the latest crime. The spunky Miss Fisher is always up for a good time or a murder to solve. Foyle is always honorable in a world gone to hell on the home front and the battle field. He is in a strange way--endearing. His is assisted by his driver, "Sam," who he grows to have an almost father-daughter relationship with. The episodes often deal with tricky moral situations, yet to Foyle, it is simplistic: there is never an excuse for murder. All of these shows can currently be viewed on Netflix except Poldark, which I found at my local library. What was YOUR favorite series of 2015?